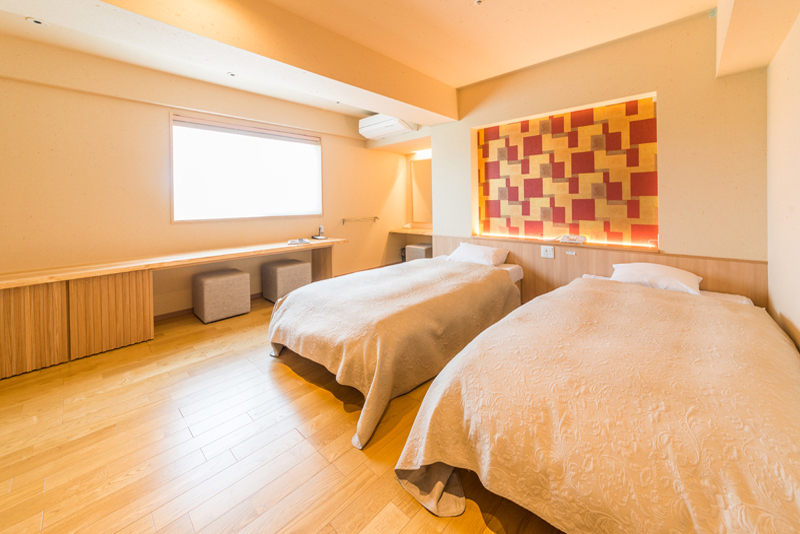 A special room (only two at our hotel!) 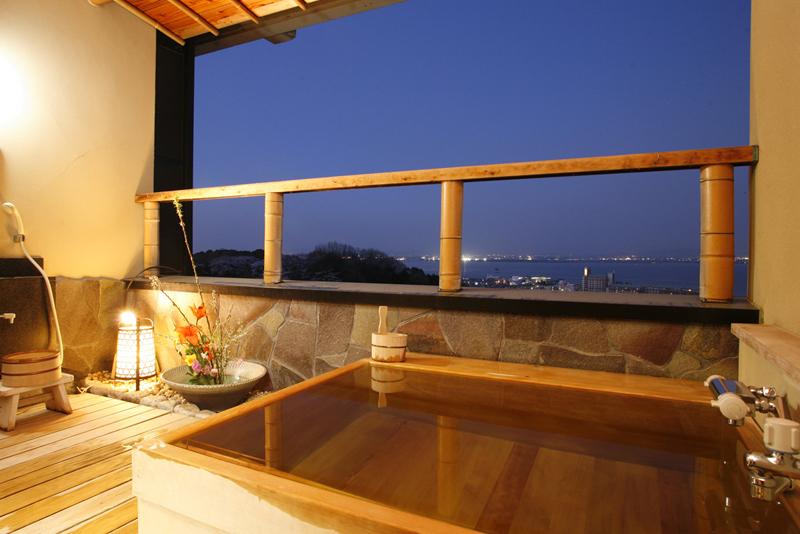 with a folk style room, antique Western room, and an open-air hot spring with a lake Biwa view. 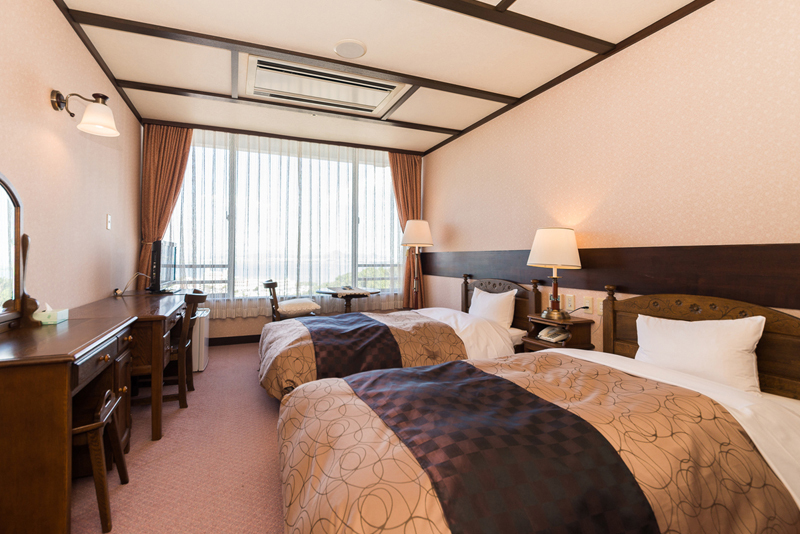 We could promise you a pleasant stay. 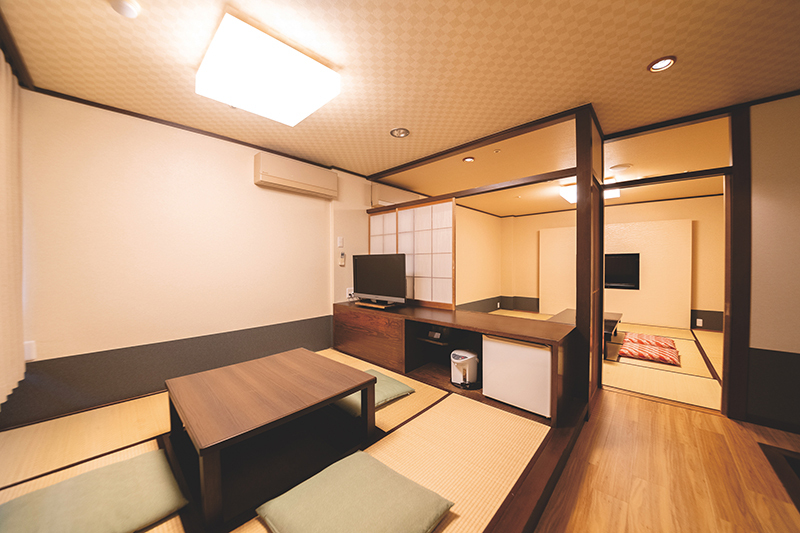 There are two washing rooms and toilets each and also a mini bar. 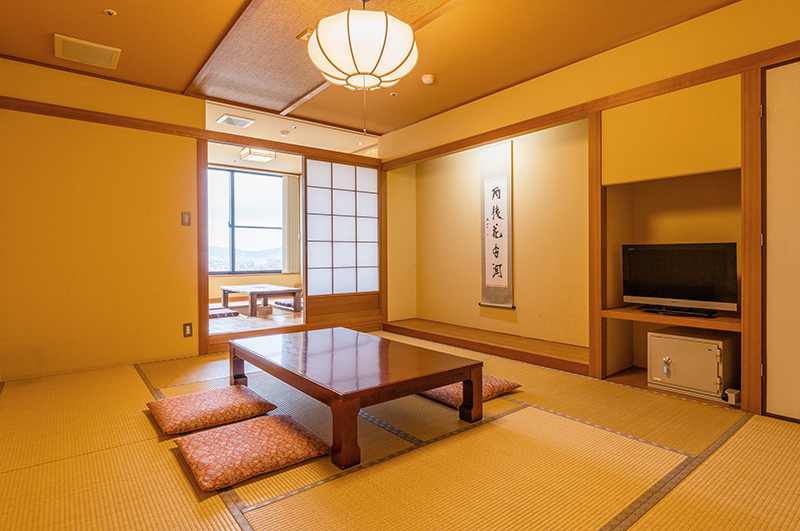 High class type room with a calm Hori-gotatsu style room (in the hollow space underneath the low table, there is a heater for the winter cold), a Japanese style room (12.5 mats = 20.6㎡), and a bedroom with a twin bed. 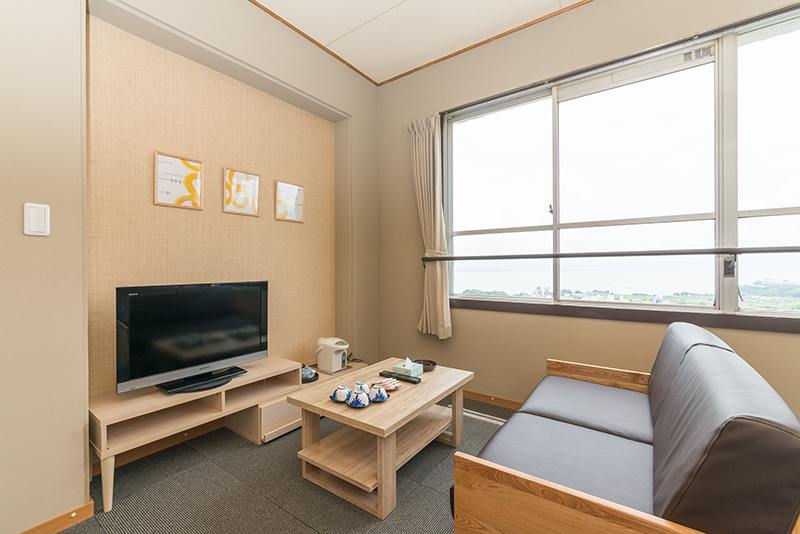 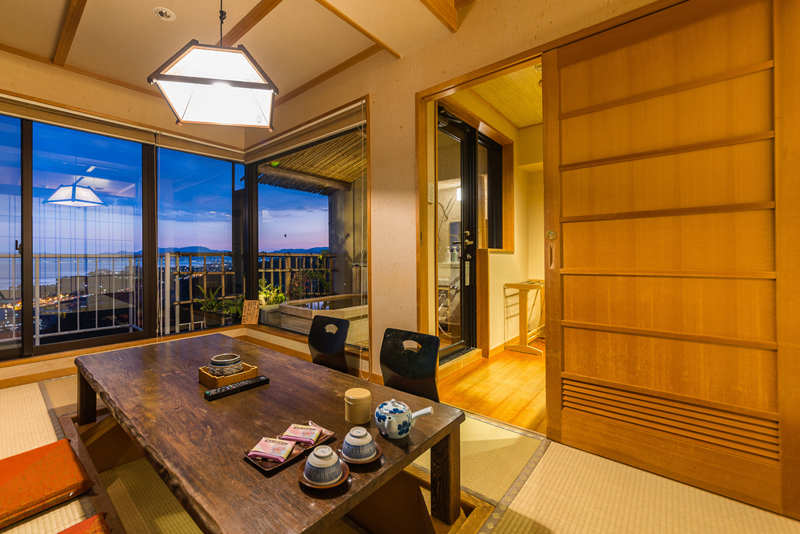 High-grade type room with a calm Hori-gotatsu style room (in the hollow space underneath the low table, there is a heater for the winter cold), an open-air hot spring with a lake Biwa view, two washrooms, and two toilets. 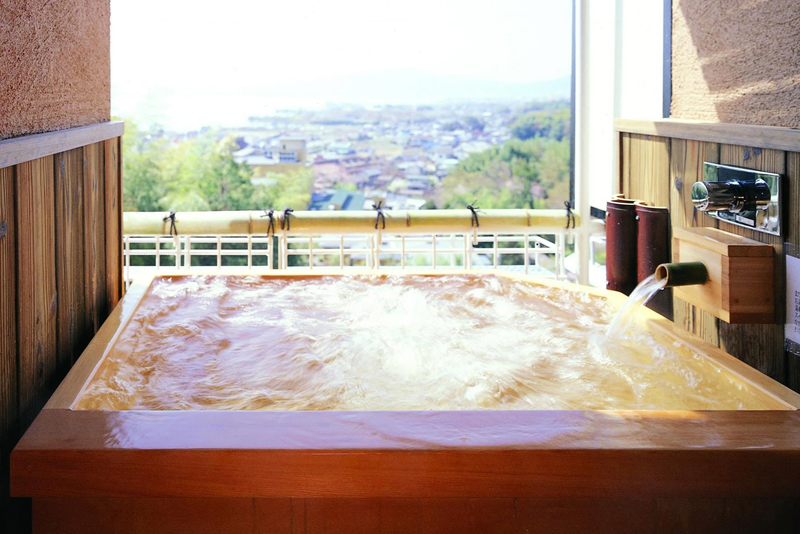 It has a splendid view. 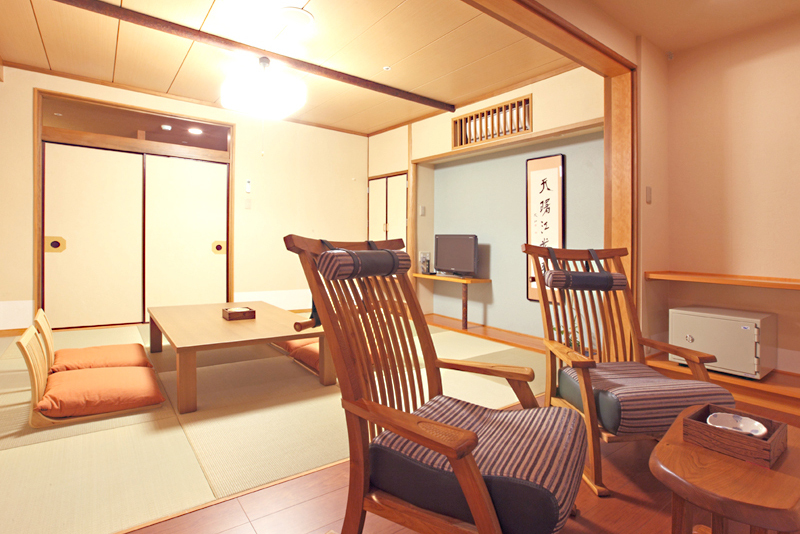 A healing wooden taste twin non-smoking room. 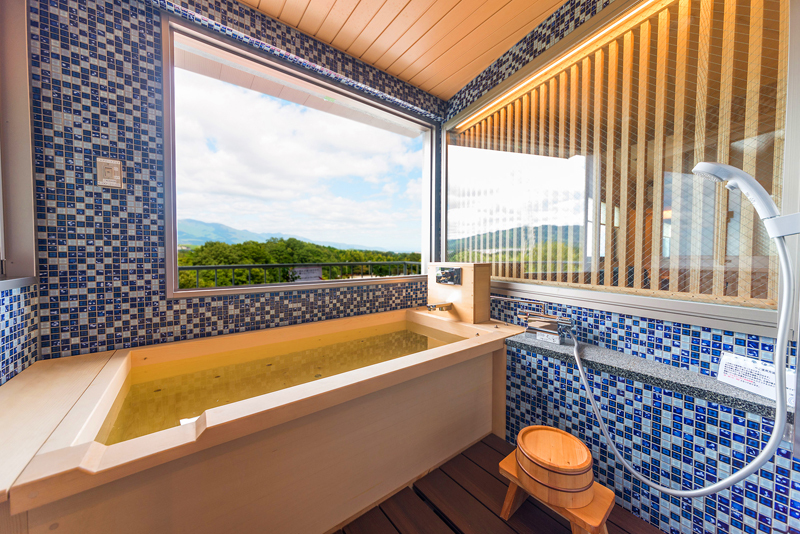 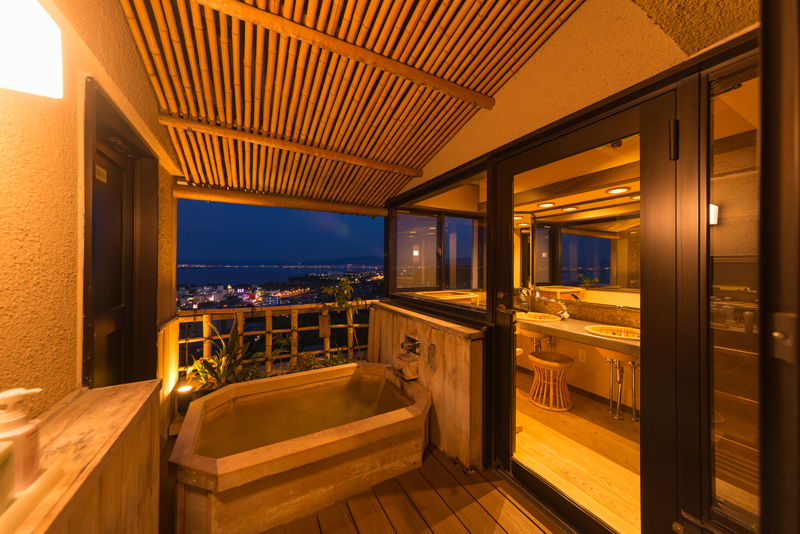 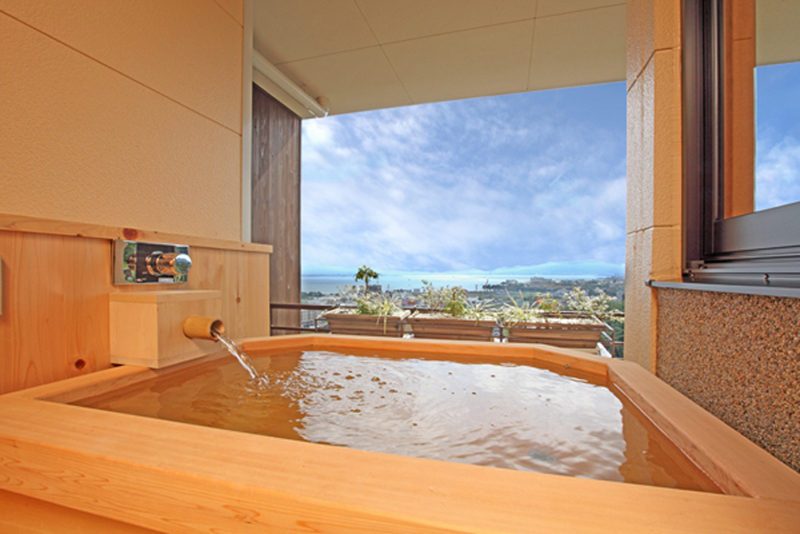 Lake Biwa and the beautiful mountains spread in the Northern front from the private open-air hot spring. 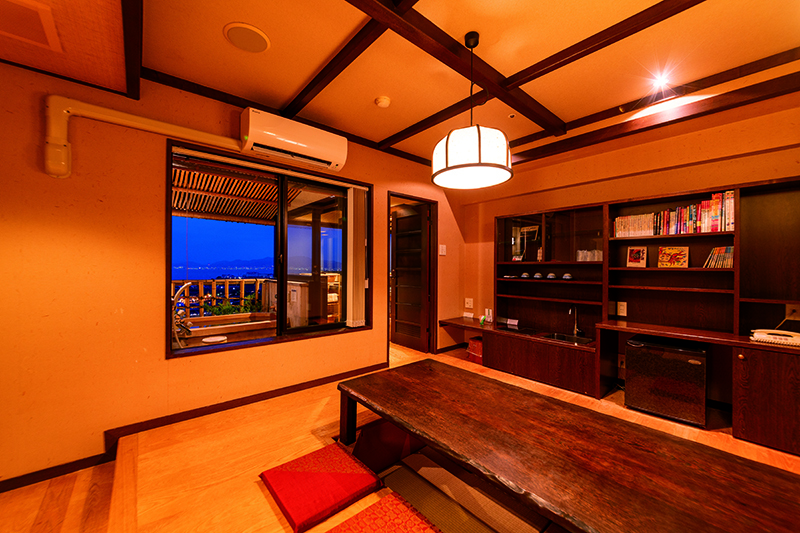 A room with a lake Biwa view. 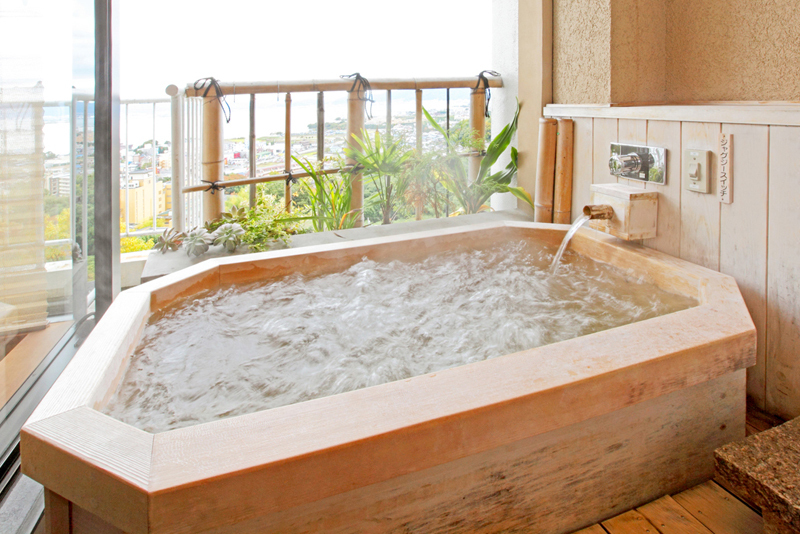 There are two types of open-air bath tubs – wooden or ceramic (cannot be specified). 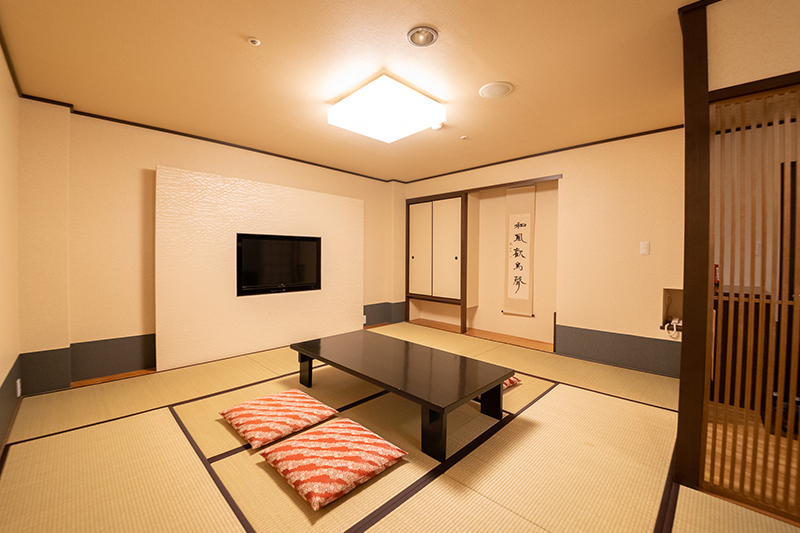 Both types have a Hori-gotatsu style room next to the main room. 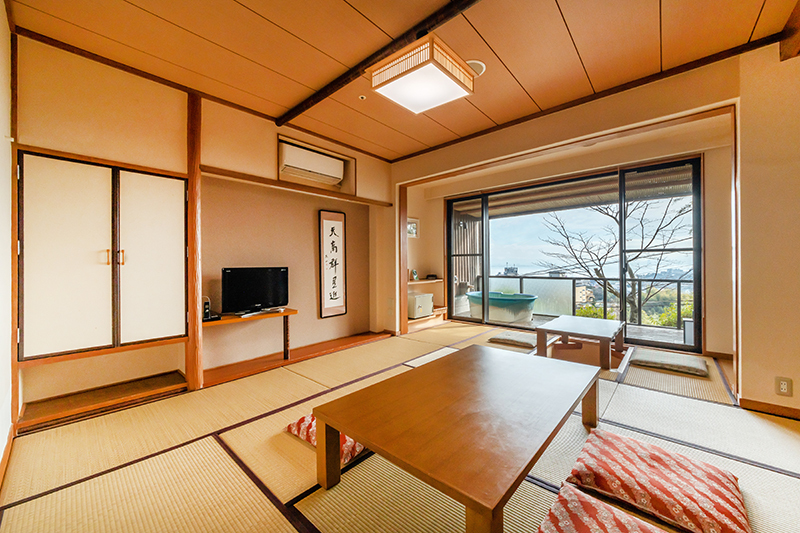 From the Hori-gotatsu style room (a low table with heating underneath) next to the Japanese style room (10 mats = about 18㎡), the beautiful view of the forest and Lake Biwa will lie beneath. 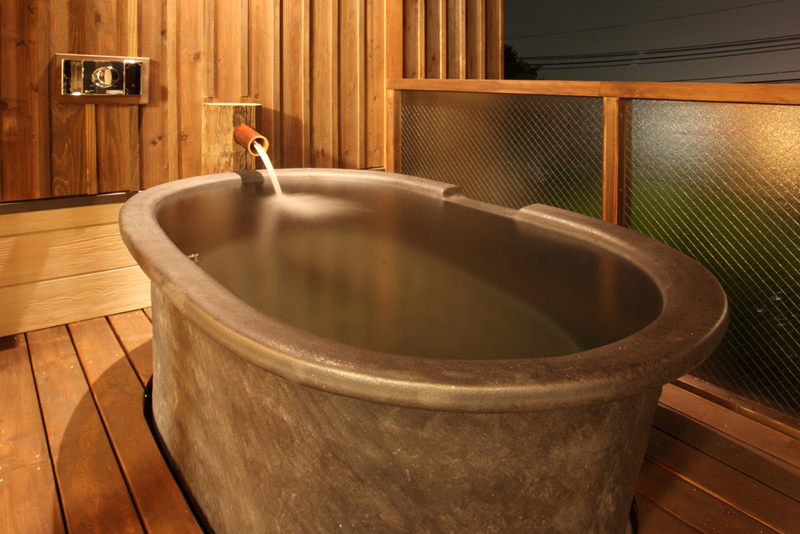 This is a popular room with the private open-air hot spring. 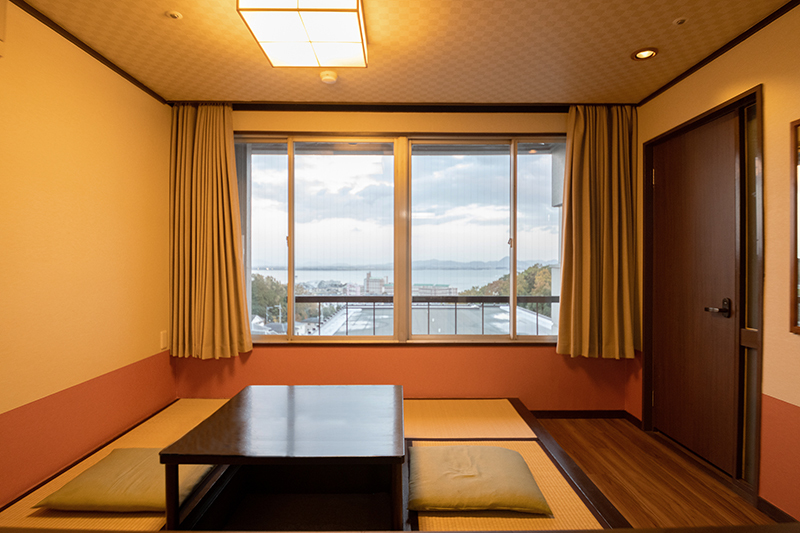 A room with a lake Biwa view. 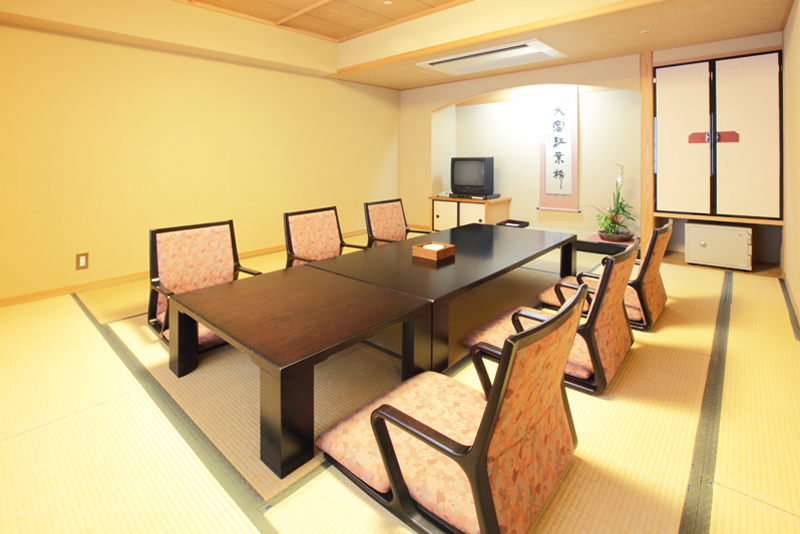 There are custom made chairs in each of the rooms. 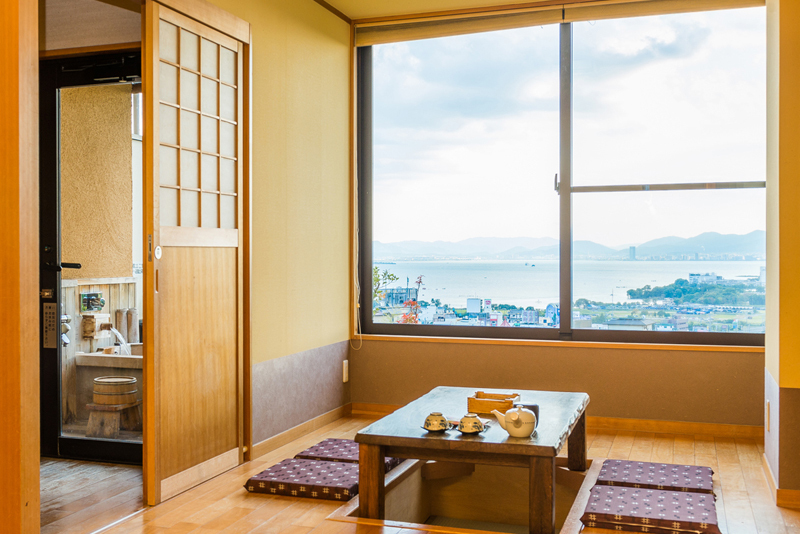 Take a moment and enjoy the lake Biwa view from the room. 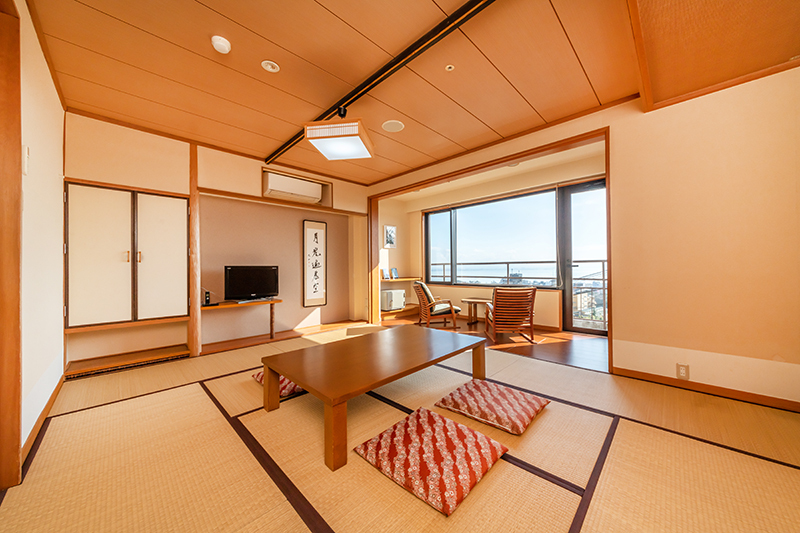 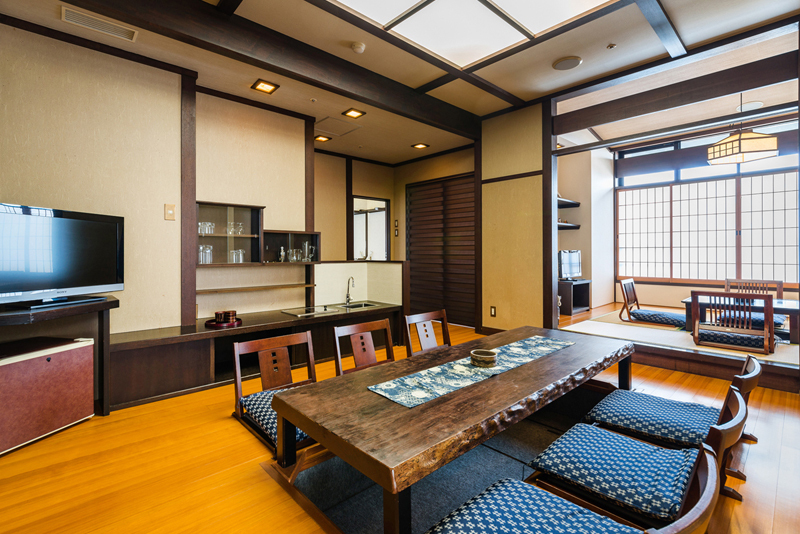 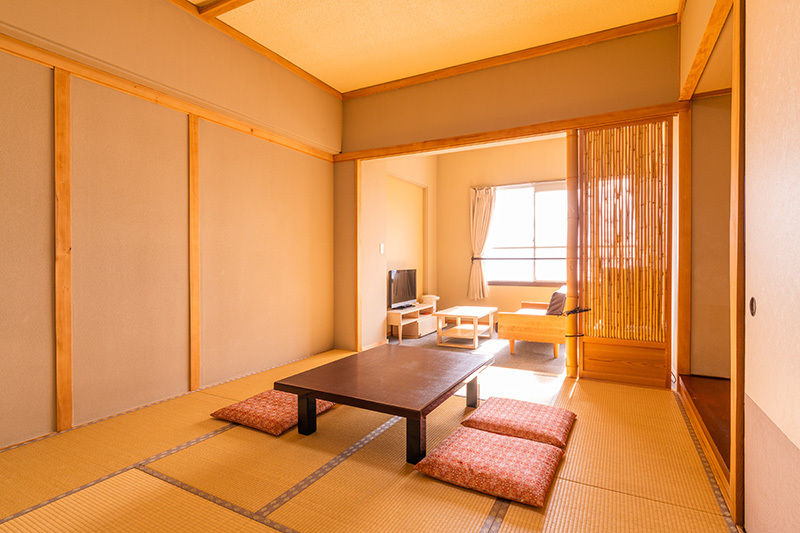 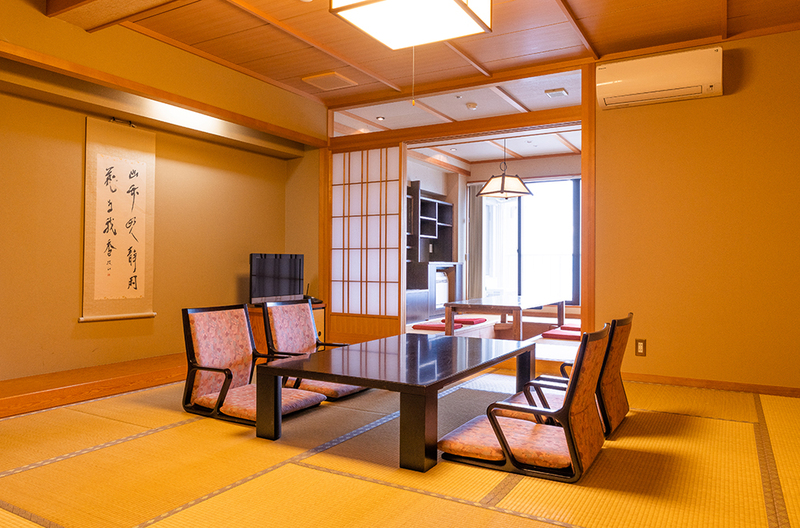 There are two rooms in this type of accommodation – a Japanese style room + an Irori style room (a room with a hearth) or a Hori-gotatsu style room (a low table with heating underneath). 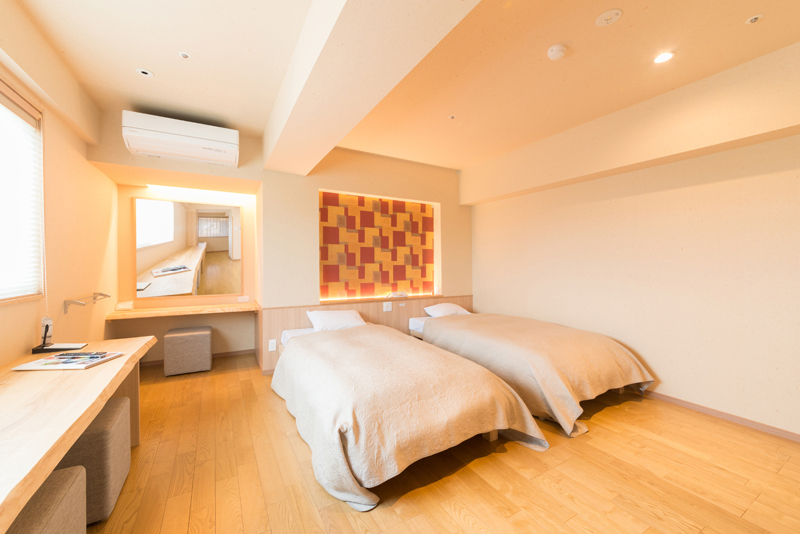 Please enjoy the rooms with a calm. 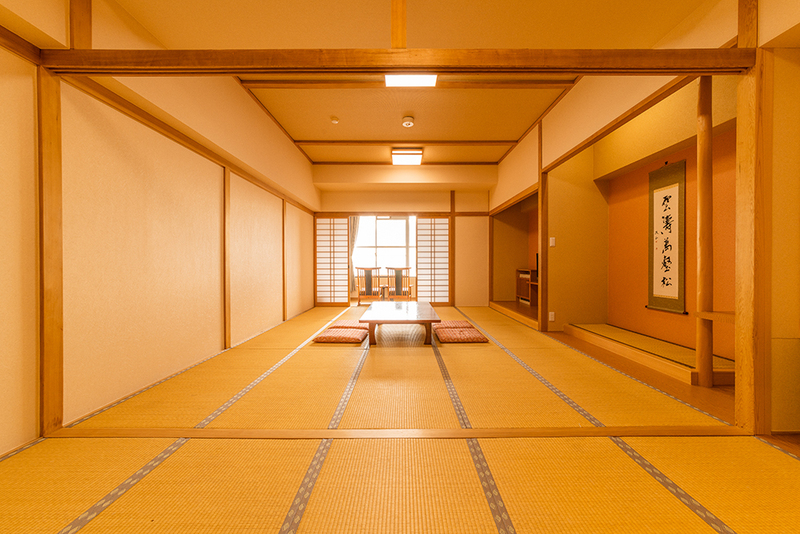 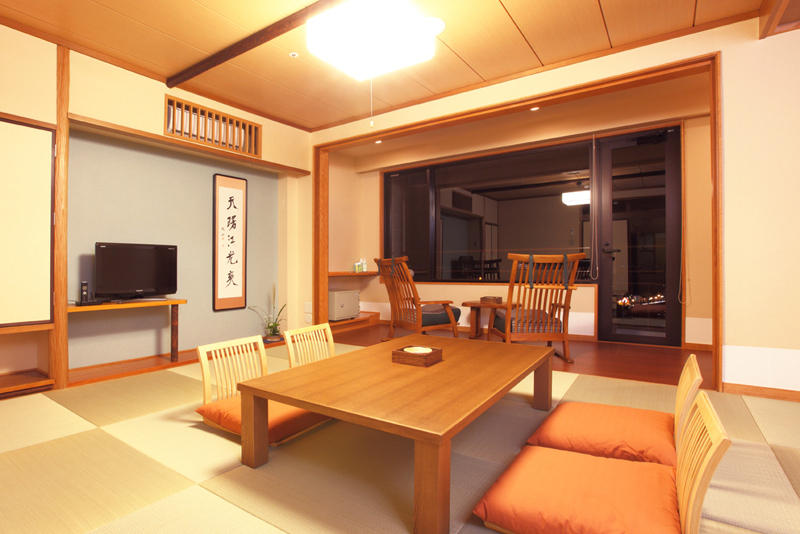 This is a Japanese style room.